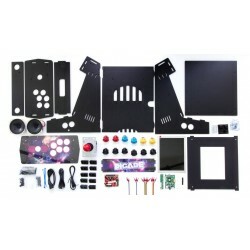 myArcadeConsole is an all-in-one console: an arcade control table and a computer in the same component. Just connect the HDMI to your TV or monitor to be able to play immediately. 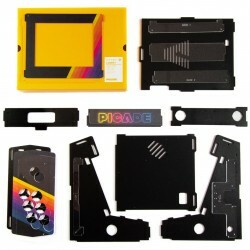 It's built with the best kit on the market: the PIMORONI Picade Console. 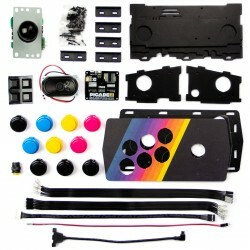 We provide the console in a built version (just to connect) or in kit form for you to build at home. myArcadeConsole allows you to play with a multitude of emulators pre-loaded onto the console. 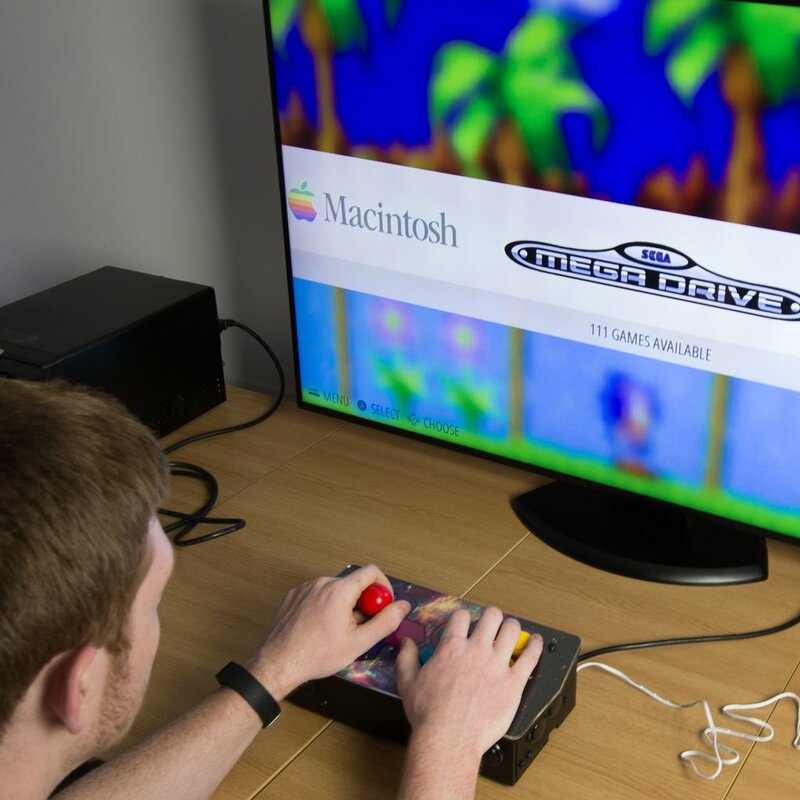 Through the open source EMULATION STATION software you can select the desired emulator and access the list of available games. myArcadeConsole comes in two flavours: a portable wireless version to connect to your TV or in a cabinet version, like cabinet in a 80s game room. The games can be easily found on the internet by downloading the appropriate ROMs and copied from free sites on the console via USB key or via WiFi network connection.